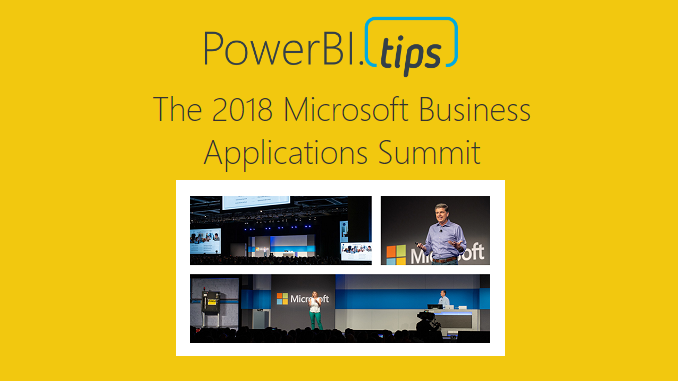 Want to give a special thanks to the Microsoft PowerBI team for allowing PowerBI.Tips to participate in the 2018 Microsoft Business Application Summit. If you were not able to make it to this event don’t worry, we are bringing the PowerBI.Tips session to you. In this video session Seth Bauer and Myself walk through a number of most viewed / used features of PowerBI.Tips. The following topics are covered within this session. If you want to watch all the content from the Business Applications Summit you can zoom over to the official page here. If you like the content generated from PowerBI.Tips please follow me on all the social outlets. Stay up to date on all the latest features and free tutorials. Subscribe to me on YouTube. Or, follow me on the social channels, Twitter and LinkedIn, where I will post all the announcements for new tutorials and content.